HARRY L. THOMAS, JR., Defendant. 1. The District of Columbia ("District" or "D.C."), the capital of the United States of America, was the center of the three branches of the federal government; was among the most populous cities in the nation and home to more than 500,000 residents; and was the location of many of the nation's most treasured landmarks, museums and cultural institutions. The District was a "State" as defined in Title 18, United States Code, Section 666(d)(4). 2. The District was divided geographically into four quadrants and comprised of eight wards, including Ward 5, located in the Northeast quadrant of the District. 3. The District was governed by a Mayor and the Council of the District of Columbia ("Council'). The Council was composed of thirteen members, each elected by District residents to a four-year term. One member was elected from each of the District's eight wards and five members, including a Chairman, were elected on an at-large basis. Council members were empowered to introduce matters for consideration by the Council, and to vote on all matters properly before the Council, including votes on the District's budget. 4. Each year, including from 2007 through 2009, the District received more than $10,000 pursuant to federal programs, including grants, contracts, subsidies, loans, guarantees, insurances, and other forms of federal assistance. These funds were designated for various purposes, including for public education, homeland security, the construction and maintenance of roads and other infrastructure, and social services for families and children, among other things. 5. THOMAS, a resident of the District of Columbia, was elected as the Ward 5 representative to the Council in November 2006 and took office in January 2007. In his first four-year term in office, THOMAS served as Chair for the Council's Committee on Libraries, Parks, Recreation and Planning, which involved oversight responsibility for the D.C. Department of Parks and Recreation, an agency that conducted youth sports activities, among other things. THOMAS's official duties as a Council member included voting on legislation, such as laws concerning the distribution of public funds. As part of THOMAS's official duties, he, like other Council members, advocated on behalf of individuals and organizations seeking funding and other support or assistance from the District Government. THOMAS was an "agent" of the District as defined in Title 18, United States Code, Section 666(d)(1). 6. As a Council member, THOMAS was required annually by law to the financial disclosure under oath with the D.C. Office of Campaign Finance. These statements required THOMAS to disclose, among other things, any interests in businesses that transacted any business with the D.C. Government in excess of $1,000, any outside income earned, and any honoraria earned. THOMAS never disclosed any such interests, outside income, or honoraria. 7. TEAM THOMAS was registered with the District of Columbia as a nonprofit corporation organized by THOMAS in February 2000 and controlled by THOMAS until it was dissolved by THOMAS in December 2010. During TEAM THOMAS's existence, THOMAS sought, but ultimately withdrew its application for, status as a tax-exempt entity under Section 501(c)(3) of the Internal Revenue Code. 8. HLT DEVELOPMENT (also known as HLT Team Thomas/Swingaway, LLC and hereinafter "HLT") was a District of Columbia for-profit corporation controlled by THOMAS. HLT was dissolved by THOMAS in December 2010. 9. During THOMAS's first four-year term in office, STAFF MEMBER #1, who previously had worked for many years at the District's Department of Parks and Recreation, served as Committee Director for the Council Committee on Libraries, Parks, Recreation and Planning. Since THOMAS chaired the committtee, THOMAS supervised STAFF MEMBERS #1 and had authority to direct STAFF MEMBER #1's work activities. 10. During THOMAS's first four-year term in office, STAFF MEMBER #2 served as THOMAS's Director of Constituent Services. As a Council member, THOMAS was permitted to establish and did establish a Constituent Services Fund, consisting of money raised through private donations, that was supposed to be used to assist Ward 5 residents in need. During THOMAS's second four-year term, STAFF MEMBER #2 was promoted to serve as THOMAS's Chief of Staff. In both of these positions, THOMAS supervised STAFF MEMBER #2 and had authority to direct STAFF MEMBER #2's work activities. 11. PUBLIC-PRIVATE PARTNERSHIP #1 was a non-profit public-private partnership incorporated in June 1999 and dedicated to providing resources and developing programs that benefitted children and youth in the District of Columbia. PUBLIC-PRIVATE PARTNERSHIP #1 was primarily funded by the D.C. Government, including through funds designated by the Mayor or the Council or both for particular youth-related purposes. PUBLIC-PRIVATE PARTNERSHIP #1 provided grants to organizations to expand and improve services and opportunities for children and youth. 12. From July 2008 to October 2009, EXECUTIVE #1 was the Director and Chief Executive Officer of PUBLIC-PRIVATE PARTNERSHIP #1. In this position, EXECUTIVE #1 had frequent contact with Council members such as THOMAS concerning funding for PUBLIC-PRIVATE PARTNERSHIP #1 and grants that the organization was designated by the Mayor or the Council or both to manage. 13. ORGANIZATION #1, a for-profit organization controlled by INDIVIDUAL #1, conducted arts-oriented youth programs. 14. ORGANIZATION #2, a non-profit organization that had been granted tax-exempt status pursuant to Section 501(c)(3) of the Internal Revenue Code, operated youth programs designed to foster educational advancement, including programs centered around youth activities at Langston Golf Course in Ward 5. 15. INDIVIDUAL #2 was the program director for ORGANIZATION #2 and also the general manager of the Langston Golf Course. 16.INDIVIDUAL #3 was the president of the board of directors and executive director of ORGANIZATION #2. 17. ORGANIZATION #3, a non-profit organization that had been granted tax-exempt status pursuant to Section 501(c)(3) of the Internal Revenue Code, conducted youth programs and was controlled and operated by INDIVIDUAL #4. 18. POLITICAL ORGANIZATION #1 was the District's local chapter of a national partisan political organization that existed pursuant to Section 527 of the Internal Revenue Code. THOMAS was a past president of POLITICAL ORGANIZATION #1 and encouraged STAFF MEMBER #2 to seek the position as president of POLITICAL ORGANIZATION #1. STAFF MEMBER #2 was the president of POLITICAL ORGANIZATION #1. 19. Beginning at least as early as in or about April 2007 and continuing until at least in or about February 2009, as set forth below, in the District of Columbia, THOMAS embezzled, stole, obstructed by fraud, without authority knowingly converted to the use of a person not the rightful owner, and intentionally misapplied property worth at least $5,000 and owned by, under the care of, under the custody of, and under the control of the District of Columbia, in violation of Title 18, United States Code, Section 666(a)(1)(A). 20. After THOMAS was elected, but before he took office in January 2007, THOMAS met with INDIVIDUAL #1 to discuss INDIVIDUAL #1's plans for arts-oriented youth programs. During the meeting, THOMAS and INDIVIDUAL #1 discussed obtaining government funds for such programs. In early 2007, THOMAS confirmed that his Council office would be able to support INDIVIDUAL #1 obtaining this funding for a program in Ward 5 during the summer of 2007. 21. In or about April 2007, after he had assumed public office, THOMAS informed INDIVIDUAL #1 he could obtain approximately $60,000 in government funding for INDIVIDUAL #1's program. THOMAS and INDIVIDUAL #1 agreed that THOMAS would receive $15,000 of those funds, which THOMAS intended to use for his personal benefit. At THOMAS's request, PUBLIC-PRIVATE PARTNERSHIP #1 entered into a grant agreement with ORGANIZATION #1. 22. On or about July 18, 2007, at the direction of THOMAS, PUBLIC-PRIVATE PARTNERSHIP #1 issued a $60,000 check to INDIVIDUAL #1 in support of the summer program, consisting of D.C. Government grant funds. THOMAS never disclosed to the Council or PUBLIC-PRIVATE PARTNERSHIP #1 that THOMAS would receive a portion of those grant funds. From that grant money, INDIVIDUAL #1 issued a check for $15,000, at THOMAS's direction, to HLT. The following day, INDIVIDUAL #1 issued a second check for $10,000 to HLT from the same grant funds. 23. ORGANIZATION #1 conducted an arts-oriented youth program pursuant to the grant agreement with PUBLIC-PRIVATE PARTNERSHIP #1. However, THOMAS did not perform any services for INDIVIDUAL #1 or ORGANIZATION #1 and was not otherwise legitimately owed any money in connection with PUBLIC-PRIVATE PARTNERSHIP #1's grant of $60,000 to INDIVIDUAL #1. 24. THOMAS deposited these checks from INDIVIDUAL #1 and used the money for his personal benefit. 25. On or about June 5, 2007, members of the Council, including THOMAS, unanimously voted on and enacted the Specified Funding Act Allocation Act of 2007, which, among other things, allocated $400,000 for youth baseball programs in the District of Columbia. 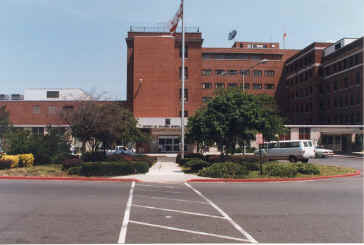 PUBLIC-PRIVATE PARTNERSHIP #1 was responsible for administering that grant oon behalf of the D.C. Government. 26. In or about December 2007, STAFF MEMBER #1, acting on THOMAS's behest and direction, informed PUBLIC-PRIVATE PARTNERSHIP #1 that THOMAS had selected ORGANIZATION #2 to receive the $400,000 youth baseball grant. At the time, THOMAS had already determined that he would direct the principals of ORGANIZATION #2 to deliver a substantial amount of the grant funds to TEAM THOMAS and/or HLT to be used without authorization and primarily for THOMAS's personal benefit. At THOMAS's request, PUBLIC-PRIVATE PARTNERSHIP #1 agreed to issue the youth baseball grant to ORGANIZATION #2. THOMAS did not disclose to the Council or PUBLIC-PRIVATE PARTNERSHIP #1 his intent to divert some of the grant funds to TEAM THOMAS and HLT for his personal benefit. a) On or about January 15, 2008, at THOMAS's direction, STAFF MEMBER #1 submitted to PUBLIC-PRIVATE PARTNERSHIP #1 a work plan, budget form and budget narrative that falsely represented how ORGANIZATION #2 intended to use the youth baseball grant funds. These forms falsely stated that grant funds would be spent on salaries and wages for full-time teachers and administrative staff members, for field trips and other travel, for computer equipment, for telecommunications equipment and services, and to pay for costs and fees associated with golfing, such as greens fees, cart rentals and club house expenses. These representations were false in that THOMAS, who was directing how the funds would be used, did not intend to spend the grant funds for these specified purposes. Based on the false representations in these forms, PUBLIC-PRIVATE PARTNERSHIP #1 issued a $100,000 disbursement to ORGANIZATION #2 on or about January 24, 2008.
b) On or about May 8, 2008, STAFF MEMBER #1 submitted to PUBLIC-PRIVATE PARTNERSHIP #1 a quarterly report purportedly on behalf of ORGANIZATION #2, when in truth and in fact it was prepared and submitted at THOMAS's direction. The report falsely represented that all of the grant funds disbursed on January 24, 2008, had been used to conduct a Saturday Academy for Baseball and a Spring Break sports camp for children, when in truth and in fact little, if any, of the grant funds had been used to conduct the events described in the report, and the events otherwise were conducted using public resources -- including Council staff or Department of Parks and Recreation staff or both -- and funds obtained from the Department of Parks and Recreation. This quarterly report falsely misrepresented how the January disbursement of grant funds had been spent, including falsely stating that $60,000 was spent on equipment, that $15,000 was spent on instructors, coaches and guest professional athletes, and that $12,000 was spent on green fees, cart rentals, and club house access. Attached to the quarterly report was a purported invoice bearing a vendor identification for HLT and the logo for Swingaway, a manufacturer of baseball training equipment. The invoice was intended to substantiate the claim that $60,000 in grant funds had been spent on equipment for the program. In fact, this invoice, which THOMAS generated and provided to STAFF MEMBER #1 for submission to PUBLIC-PRIVATE PARTNERSHIP #1, was false in that it did not correspond to any actual purchase of equipment for purposes of the grant. The quarterly report, including the attached invoice, failed to disclose that THOMAS had directed ORGANIZATION #2 to divert $75,000 of the January disbursement to TEAM THOMAS and HLT without authorization and primarily for THOMAS's personal benefit. Based on the representations in the quarterly report, PUBLIC-PRIVATE PARTNERSHIP #1 issued a $96,000 disbursement check to ORGANIZATION #2 on or about May 14, 2008.
c) In or about October 2008, STAFF MEMBER #1 submitted to PUBLIC-PRIVATE PARTNERSHIP #1 a quarterly report purportedly on behalf of ORGANIZATION #2, when in truth and in fact it was prepared and submitted at THOMAS's direction. The report falsely represented that all of the grant funds had been used to conduct a Saturday Academy for Baseball in April and May, and a day camp for children in June, when in truth and in fact little, if any, of the grant funds had been used to conduct the events described in the report, and the events described in the report either did not occur or otherwise were conducted using public resources -- including Council staff or Department of Parks and Recreation staff or both -- and funds obtained from the Department of Parks and Resources. The quarterly report falsely represented how the May disbursement of grant funds had been spent, including falsely stating that $15,000 was spent on equipment; that $60,000 was spent on instructors, coaches and guest professional athletes; and that $12,000 was spent on green fees, cart rentals, and club house access. The quarterly report failed to disclose that THOMAS had diverted $75,000 of the May disbursement to TEAM THOMAS and HLT, and that THOMAS had used these funds without authorization and primarily for his personal benefit. Based on the representations in the quarterly report, and other documents submitted to PUBLIC-PRIVATE PARTNERSHIP #1, PUBLIC-PRIVATE PARTNERSHIP #1 issued a $100,000 disbursement check to ORGANIZATION #2 on or about October 8, 2008.
d) Following the October disbursement of funds, STAFF MEMBER #1, acting at THOMAS's direction, claimed to PUBLIC-PRIVATE PARTNERSHIP #1 that the October disbursement should have been for $200,000 -- the residual balance of the entire grant -- notwithstanding that the quarterly report initially submitted for this period claimed only $100,000 in expenditures. e) In or about December 2008, STAFF MEMBER #1 submitted to PUBLIC-PRIVATE PARTNERSHIP #1 a quarterly report purportedly on behalf of ORGANIZATION #2, when in truth and in fact it was prepared and submitted at THOMAS's direction. This report was submitted in order to obtain the residual amount of the grant funds. The report falsely represented that all of the grant funds had been used to conduct an Academy for Baseball and a seven-week day camp for children, when in truth and in fact little, if any, of the grant funds had been used to conduct the events described in the report, and the events described in the report either did not occur or otherwise were conducted used public resources -- including Council staff or Department of Parks and Recreation staff or both -- and funds obtained from the Department of Parks and Recreation. For instance, THOMAS, in his role as Council member, had arranged for a day camp to be held at Charles Young Elementary School in Northeast Washington. This camp was not paid for using the ORGANIZATION #2 grant funds; THOMAS and STAFF MEMBER #1 arranged for the District to issue a contract to a private vendor who was paid $20,000 to run the camp directly by PUBLIC-PRIVATE PARTNERSHIP #1 using Department of Parks and Recreation funds, and other government resources were used to organize and run the camp. The December quarterly report falsely represented how the earlier disbursed grant funds had been spent, including falsely stating that $6,000 was spent on equipment; that $72,000 was spent on instructors, coaches and guest professional athletes; and that $7,000 was spent on green fees, cart rentals, and club house access. The quarterly report failed to disclose that THOMAS had diverted $80,000 of the October disbursement to TEAM THOMAS and HLT, and that THOMAS had used these funds without authorization and primarily for his personal benefit. Based on the representations in the quarterly report, and other documents submitted to PUBLIC-PRIVATE PARTNERSHIP #1, PUBLIC-PRIVATE PARTNERSHIP #1 issued a $96,000 disbursement check to ORGANIZATION #2 on or about December 12, 2008, representing the residual amount of the grant. THOMAS directed ORGANIZATION #2 to divert $76,000 of the December disbursement to TEAM THOMAS and HLT, and THOMAS used these funds without authorization and primarily for his personal benefit. 30. In total ORGANIZATION #2 received $392,000 in grant funds from the District of Columbia, via PUBLIC-PRIVATE PARTNERSHIP #1, from the Specified Funding Allocations Act's $400,000 earmark for youth baseball programs. From that grant money, ORGANIZATION #2 issued the above-noted amounts, at THOMAS's direction to HLT and TEAM THOMAS totaling $306,000. ORGANIZATION #2 kept the remaining grant funds, which it used to conduct its otherwise regular activities. 31. THOMAS deposited these checks from ORGANIZATION #2 into the accounts of TEAM THOMAS and HLT and used the money without authorization and primily for his personal benefit, including, among other things, to buy a 2008 Audi Q7 4.2 Quattro Premium sport utility vehicle that cost more than $60,000, a 2008 Victory Motorcycle that cost more than $23,000, as well as to pay for expenses at clothing stores, expenses at restaurants, and various trips taken by THOMAS. 32. In 2009, THOMAS continued to direct more grant funds to ORGANIZATION #2 with the intent of obtaining government grant funds for his personal benefit. 33. On or about July 14, 2009, STAFF MEMBER #1, at THOMAS's direction, lobbied PUBLIC-PRIVATE PARTNERSHIP #1 to issue a $143,000 grant to ORGANIZATION #2. This grant ultimately was not issued to ORGANIZATION #2. 34. On or about August 7, 2009, STAFF MEMBER #1, at THOMAS's direction lobbied PUBLIC-PRIVATE PARTNERSHIP #1 to issue grants to a list of four organizations, including ORGANIZATION #2 for $20,000 and ORGANIZATION #3 for $10,000. 35. On or about August 21, 2009, THOMAS directed STAFF MEMBER #1 to send a work plan and budget to PUBLIC-PRIVATE PARTNERSHIP #1 for the $20,000 grant to ORGANIZATION #2. STAFF MEMBER #1, at THOMAS's direction, sent these documents to PUBLIC-PRIVATE PARTNERSHIP #1. THOMAS knew the documents were false because they did not reflect the portion of the grant funds that would be directed to TEAM THOMAS, as set forth in paragraph 36 below. THOMAS never disclosed to the Council or PUBLIC-PRIVATE PARTNERSHIP #1 his intention to divert some of those grant funds to TEAM THOMAS for his personal benefit. 36. On August 24, 2009, PUBLIC-PRIVATE PARTNERSHIP #1 issued a $20,000 check to ORGANIZATION #2. INDIVIDUAL #3 and INDIVIDUAL #2 did not apply for a grant or sign a grant agreement prior to PUBLIC-PRIVATE PARTNERSHIP #1 issuing the $20,000 check. ORGANIZATION #2 deposited the $20,000 check on September 4, 2009. On or about September 10, 2009, ORGANIZATION #2 wrote a $10,000 check to TEAM THOMAS. THOMAS deposited the check and then issued a $4,000 check to HLT. THOMAS used these funds for his personal benefit. 37. At THOMAS's direction, STAFF MEMBER #1 continued to request that PUBLIC-PRIVATE PARTNERSHIP #1 issue an additional $125,000 grant to ORGANIZATION #2. 38. On or about December 21, 2009, PUBLIC-PRIVATE PARTNERSHIP #1 sent INDIVIDUAL #2 a draft agreement for a $125,000 grant to ORGANIZATION #2. THOMAS forwarded the draft agreement to STAFF MEMBER #1 and directed STAFF MEMBER #1 to complete all of the necessary paperwork immediately. 39. In anticipation of executing this agreement, PUBLIC-PRIVATE PARTNERSHIP #1 drafted a $31,250 check to ORGANIZATION #2 on December 21, 2009. PUBLIC-PRIVATE PARTNERSHIP #1 informed STAFF MEMBER #1 that ORGANIZATION #2 would have to sign a grant agreement for the previous $20,000 grant in order to receive the $125,000 grant. 40. THOMAS met with INDIVIDUAL #2 and INDIVIDUAL #3 and informed them that TEAM THOMAS and HLT DEVELOPMENT would receive a large portion of the $125,000 grant after the money passed through ORGANIZATION #2. INDIVIDUAL #2 and INDIVIDUAL #3 refused to acquire the money on THOMAS's behalf. 41. On or about August 8, 2009, at the direction of THOMAS and STAFF MEMBER #1, PUBLIC-PRIVATE PARTNERSHIP #1 issued a $10,000 check to ORGANIZATION #3, consisting of D.C. Government grant funds, in support of a summer program. THOMAS never disclosed to the Council or PUBLIC-PRIVATE PARTNERSHIP #1 that he intended to divert some of those grant funds for his personal benefit. From that grant money, INDIVIDUAL #4 issued a check for $5,000, at THOMAS's direction, to HLT. 42. THOMAS did not perform any services for ORGANIZATION #3 or INDIVIDUAL #4 that warranted a $5,000 payment in connection with PUBLIC-PRIVATE PARTNERSHIP #1's grant of $10,000 to ORGANIZATION #3. 43. THOMAS deposited that check from INDIVIDUAL #4 and used the money for his personal benefit. 44. The Drug Prevention and Children at Rick tax check-off was a voluntary check off on District of Columbia individual income tax returns that allowed an individual to contribute to the Public Fund for Drug Prevention and Children at Risk. District of Columbia Code section 47-4002 required the Public Fund for Drug Prevention and Children at risk to be used to support programs designed to prevent drug and alcohol consumption and to support persons under the age of 18 years who have had direct or indirect contact with drugs. 45. In early 2008, THOMAS lobbied to transfer the monies collected in the Public Fund for Drug Prevention and Children at Risk, as well as the forthcoming tax check-off money to be received through future taxpayer contributions, from the Department of Parks and Recreation to the PUBLIC-PRIVATE PARTNERSHIP #1. On or about May 13, 2008, twelve members of the Council, including THOMAS, voted on an passed the Support for At-Risk Youth Act of 2008, which caused the funds generated by the Drug Prevention and Children at Risk tax check-off to be directed as a grant to and administered by PUBLIC-PRIVATE PARTNERSHIP #1. 46. In or about December 2008, THOMAS indicated publicly that an inaugural event would be held at the John A. Wilson Building and that he would seek private donations to cover the difference between the city's cost and any revenue raised by the $51 price of admission. The 51st State Inaugural Ball was organized by POLITICAL ORGANIZATION #1, but THOMAS was intimately involved in planning the event. Prior to the event, THOMAS, through HLT, paid $7,500 for some of the entertainment expenses for the event. 47. The 51st State Inaugural Ball was held on January 20, 2009, beginning at 10:00 p.m., at the John A. Wilson Building in Washington, D.C. After the event, THOMAS and POLITICAL ORGANIZATION #1 had insufficient funds to pay the vendors and repay those, including THOMAS, who had advanced money for the event. As a result, THOMAS directed STAFF MEMBER #1 and STAFF MEMBER #2 to seek funding from PUBLIC-PRIVATE PARTNERSHIP #1. 48. THOMAS understood that monies the Department of Parks nd Recreation held were due to be transferred to PUBLIC-PRIVATE PARTNERSHIP #1. At THOMAS's direction, STAFF MEMBER #1 exerted significant pressure to finalize the transfer of those monies so that PUBLIC-PRIVATE PARTNERSHIP #1 could provide a grant that could be used to pay for the remaining expenses from the 51st State Inaugural Ball and to repay thosete, including THOMAS, who had advanced funds. 49. On or about January 29, 2009, at THOMAS's direction, STAFF MEMBER #1 submitted a budget and budget narrative to PUBLIC-PRIVATE PARTNERSHIP #1, seeking $110,000 to fund an inauguration celebration by the POLITICAL ORGANIZATION #1. 50. On or about February 3, 2011, the funds held by the Department of Parks and Recreation were transferred to PUBLIC-PRIVATE PARTNERSHIP #1, after significant pressure from STAFF MEMBER #1, at THOMAS's direction, was exerted on the Department of Parks and Recreation and PUBLIC-PRIVATE PARTNERSHIP #1 to complete the transfer. The same day, at THOMAS's direction, STAFF MEMBER #1 emailed PUBLIC-PRIVATE PARTNERSHIP #1 to determine whether he could pick up the check for $110,000. 51. On or about February 4, 2009, EXECUTIVE #1 indicted to THOMAS and STAFF MEMBER #1 that the fact that the applicant was a political organization may present difficulties regarding the payment. EXECUTIVE #1 advised STAFF MEMBER #1 to change the name of the entity that would receive the funds. 52. THOMAS contacted INDIVIDUAL #4 to request that ORGANIZATION #3 act as a pass through for $110,000 for POLITICAL ORGANIZATION #1 to fund the outstanding expenses from the inaugural event. THOMAS told INDIVIDUAL #4 that ORGANIZATION #3 could receive money to serve as a conduit for these funds. INDIVIDUAL #4 agreed to this arrangement. 55. Funding this grant to pay for the 51st State Inaugural Ball, a political event that already had occurred and was not a program directed at benefitting youth, was outside the scope of PUBLIC-PRIVATE PARTNERSHIP #1's mandate to serve the children of the District of Columbia. 57. For the years 2007 through 2009, THOMAS prepared and filed tax returns with the Internal Revenue Service ("IRS") in the District of Columbia that under-reported his income by failing to disclose the payments from the grant funds that he had received through HLT and TEAM THOMAS from INDIVIDUAL #1, ORGANIZATION #2, and INDIVIDUAL #4. I have read every word of this Statement of Offense. Pursuant to Rule 11 of the Federal Rules of Criminal Procedure, after consulting with my attorneys, I agree to stipulate to this Statement of Offense, and declare under penalty of perjury that it is true and correct. We have discussed this Statement of Offense with our client, Harry L. Thomas, Jr., and we concur with his decision to stipulate to this Statement of Offense.